Festival in the Park – The 51st annual Festival in the Park will be held from September 25th to September 27th in Freedom Park. This family-friendly event is expected to attract as many as 100,000 people this year. You’ll be able to check out over 150 artists and crafts people displaying and demonstrating their art. There will also be live music, magic acts, clown acts, food and more. Charlotte Beerfest – If you consider yourself a beer enthusiast – or simply enjoy a good beer now and again – then be sure to check out the Charlotte Beerfest on September 19th at the BB&T Ballpark. You can expect to sample over a hundred local craft beers as well as beers from both national and international breweries. You’ll also be able to enjoy live music by the Gin Blossoms while you sip your beer. Carolina Renaissance Festival – Beginning on the weekend of October 4th, the popular Carolina Renaissance Festival will run for eight straight weekends. 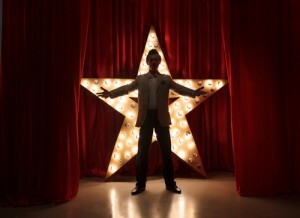 The festival boasts 12 stages on which dance, music, comedy and other forms of entertainment will be performed. Additionally, there are also tons of games to play and rides to enjoy. 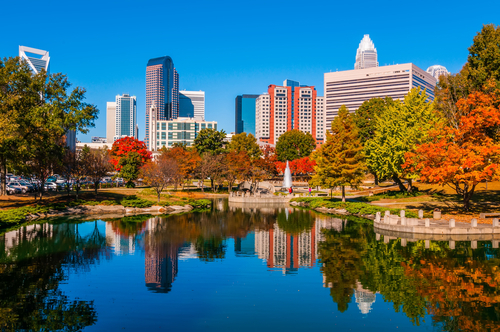 Check out some of these exciting fall events in Charlotte and be sure to contact us at Randy Lindsay for more information about the Charlotte area. HVAC system – There usually isn’t enough time for a home inspector to be able to adequately test the HVAC system during the inspection process. To have it fully tested, have it inspected by an HVAC specialist. Water damage – If the house hasn’t been used for a while, then water damage caused by leaks may have dried up. Some water damage may have even been covered up by new paint. Damaged sewer lines – An inspector can estimate the age of your drain pipe but not the condition of the sewer lines. If the house is over 20 years old, consider paying for a sewer scope. Look for these problems and contact Randy Lindsay for a real estate agent in Fort Mill, SC. Buying a home for your student when they go off to college can be a really smart idea. It’s something that many parents will do in order to save money over the long run. There are definitely a few things you’ll want to think about if you’re thinking about buying a home new Winthrop University. First of all, renting can be pretty expensive over the course of four years (or longer!). The amount of money that you end up putting into your student’s rent could be put towards the down payment of a house. As far as the mortgage payments go, you can rent out the other rooms of the house to friends of your student. This should be able to cover the monthly mortgage payments. In fact, you may be able to get away with charging enough for rent to cover a few other costs, such as maintenance costs, property tax and homeowners insurance costs. Once your student graduates and moves out, you could continue renting out the house until the value has appreciated enough to be worth selling. Consider buying a home near Winthrop University for your student and contact us at Randy Lindsay for real estate advice. If you’re looking for ways to settle into the community after moving to York County, then there’s no better way than to plan a picnic with friends and family at one of the beautiful parks located within York County. In fact, if you’re looking for a park at which to do this, we highly recommend the Harris Street Park. The Harris Street Park is a popular park among residents of Fort Mill. Covering roughly 10 acres, the Harris Street Park has numerous amenities that make it perfect for a lazy weekend afternoon picnic. For example, you can hold your picnic under the picnic shelter, which contains two picnic tables, or the gazebo, which contains one picnic table. While this may not seem like a lot of picnic tables, each table holds up to 25 people. Additionally, the park boasts full restroom facilities. There are also plenty of amenities that the kids can use before and after lunch, such as the children’s playground, the lighted baseball or softball diamond and the lighted basketball court. Settle down after a stressful move by picnicking at the Harris Street Park. For more information about York County, be sure to contact us at Randy Lindsay. Install carpet runner – You can add a carpet runner down the middle of your steps to add color and pattern to the stairs. A runner is a great way to add a bit of elegance and sophistication to the overall stairway design. Paint a runner – If you’d rather not install carpet on the stairs, consider painting a runner instead. This gives you a lot of flexibility in terms of what your steps look like, thereby giving you a chance to be playful with it. You could go wild with the colors or even write a message going down the steps. Wallpaper – Another unique option is to wallpaper the sides of the steps. This is a great way to introduce different patterns – try using different wallpaper for each step! Use these stair decorating ideas and contact Randy Lindsay for information about homes for sale in Fort Mill, SC.